In the summer of 1922, a new development was planned in western Topeka. On land donated to the city by Franklin Monroe Washburn, the development was going to be called Washburn Park and cover the area between MacVicar and Oakley and 10th and Munson. The land had been in the Washburn family since 1857 when Jabez Avery Washburn settled there with a land grant signed by President James Buchanan. A park in the northwestern corner of the neighborhood, on either side of Ward Creek, was created. On either side of the park were going to be two new streets, both named after World War I heroes from Topeka who died in France during the Great War. The first was Louis Philip Billard, born to a prominent Topeka family in 1891. Billard was an early advocate of aviation and was one of the earliest pilots in Kansas. In 1916, he enlisted as a test pilot and died when his plane disintegrated on July 24, 1918. The other was Victor Blakely. Victor Kenney Dodge Blakely was born in 1897 to Charles Graham and Mattie Victory Kenney Blakely. Charles Blakely was a prominent insurer in Topeka. 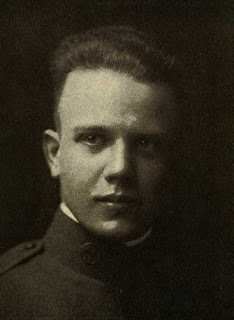 Victor attended Topeka High School where he played football, attended Washburn College, and was one of the first Topekans to enlist in the military when the United States entered World War I. Over his time in the army, Blakely was promoted to lieutenant and led the 4th Platoon, A Company during the Meuse-Argonne Offensive, the last major battle of World War I that lasted from September 26 until the war ended on November 11th of 1918. His battalion suffered heavy losses during the second phase of the Offensive and he died October 15, 1918. Lt. Blakely was buried in the Meuse-Argonne American Cemetery in France although a cenotaph rests in Mount Hope Cemetery in the Blakely family plot back home in Topeka. Topeka and the local developers promoted the Washburn Park neighborhood extensively throughout 1922 and 1923. Washburn Park was bordered by 10th Street on the north; Webster, 11th, and Franklin (now Collins), and Blakely on the east; Munson on the south; and Oakley and Billard on the west. Ward Creek divides the park in half and the land is covered in large older trees. Blakely Court was a short one block curved street that went from Munson at the intersection with Warren Avenue to about halfway through Collins Avenue. Based on maps, it appears that Blakely was never opened to traffic. The Sanborn Fire Maps of 1944 label Blakely as "not open" and a 1950 topographic map has Blakely labeled an un-maintained dirt road. After the Flood of 1951, flood prevention measures were installed all over Topeka including the levees along the Kansas River, the Shunganunga Creek, and Ward Creek. Ward Creek was rerouted slightly, the sides were built higher to control flooding, and Blakely Court--whatever form it was in--was demolished and by 1955, it was no longer included on maps. Today, houses sit where Blakely Court would've connected to Munson and Collins. You can almost see where the road might have been based on the location of the trees but all evidence of it is gone. City map of Topeka, Kansas, 1938 showing Blakely Court.